Enjoy your chewing gum with a pirate style! These grape-flavored gums have the popular Japanese manga & anime series One Piece as a illustration on their wrapping paper. 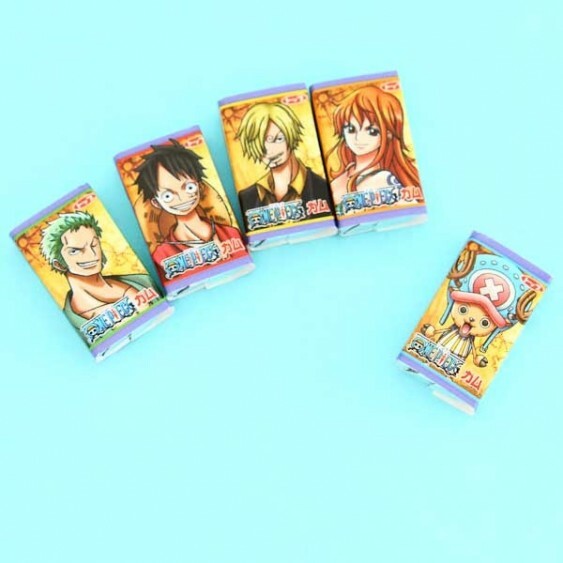 Each gum portrays a different One Piece character and has, not one, but 2 pieces of the delicious gum wrapped in a foil to ensure the freshness. 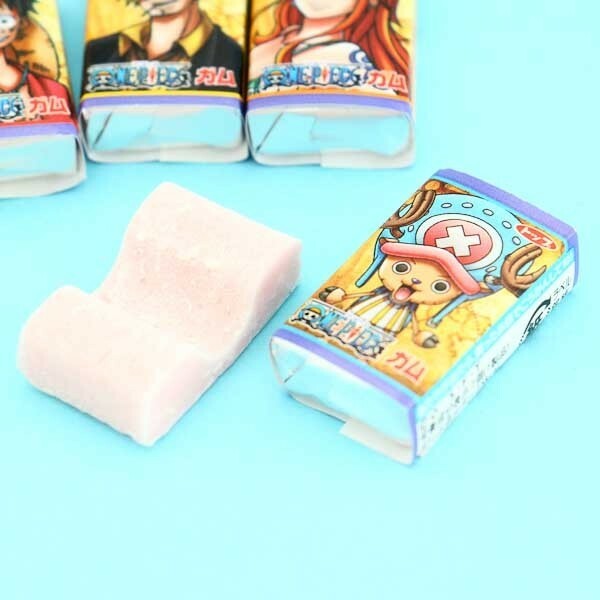 These are a must-have for all One Piece fans and chewing gum lovers! Are you brave enough to try to collect all the wrapping papers?